Despite regaining control of the House with the help of a crop of candidates who campaigned on calls for a new generation of leadership, Democrats are positioned to once again elect Nancy Pelosi as speaker and tap her longtime deputies to lead the caucus when the new Congress begins in January. While some races remain uncalled, and Pelosi faces resistance from a clutch of hardened critics on Capitol Hill and incoming members who pledged to oppose her, the California Democrat is favored to become the first member of Congress to serve nonconsecutive terms as speaker since Sam Rayburn. In an interview with CNN, Pelosi said she’s “a hundred percent” confident in her ability to reclaim the gavel and serve a second stint as speaker, after becoming the first woman to hold the post from 2007-2011. House Minority leader Nancy Pelosi arrives for a press conference after Democrats took back control of the house in Washington, Nov. 7, 2018. “I think I'm the best person to go forward. So I think that my case is about being the best person for how we go forward,” she said. “Leader Pelosi is confident in her support among Members and Members-elect. Democrats don’t let Republicans choose their leaders. The election proved that the GOP attacks on Pelosi simply do not work," Drew Hammill, Pelosi spokesman and deputy chief staff, told ABC News. While Pelosi, who officially kicked off her bid in a letter to members and winning candidates Wednesday night, does not currently face a declared challenger, she doesn’t enjoy the unanimous support of Democrats as she did more than a decade ago, which could complicate her bid. 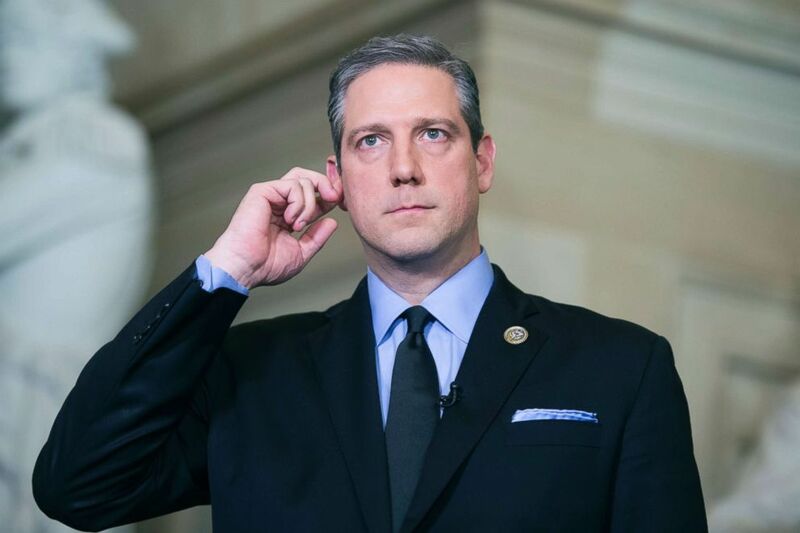 Rep. Tim Ryan in Statuary Hall before President Donald Trump's State of the Union address to a joint session of Congress in the House chamber, Jan. 30, 2018. At least nine sitting Democrats plan to vote against her for speaker, joined by at least five incoming Democrats who have reaffirmed their campaign pledges to support new leadership and not back Pelosi: Abigail Spanberger of Virginia, Jason Crow of Colorado, Jeff Van Drew of New Jersey, Max Rose of New York, and Elissa Slotkin of Michigan. Another two sitting House Democrats -- Reps. Ron Kind of Wisconsin and Jim Cooper of Tennessee -- voted against Pelosi for Democratic leader in 2016, but haven’t said if they will vote against her second bid for speaker. And a score of additional incoming House Democrats have either called for new leadership, avoided commenting on the leadership race, or are waiting to see if any other candidates emerge. While she only needs a majority of Democrats’ support in a closed-door caucus vote later this month, Pelosi will need 218 votes -- or a majority of all members present and voting on the House floor -- on Jan. 3. With Democrats currently holding 225 seats, according to ABC News projections, Pelosi can afford to lose only seven votes, or as many as 16, if Democrats win the nine outstanding races yet to be called by ABC News. Still, lawmakers and aides across the caucus said this week that Tuesday night’s victory -- and Pelosi’s prominent role supporting candidates across the country with the help of her fundraising prowess -- fortified her position as the clear frontrunner for speaker. “Coming off the victory that we just had, that the leadership as it is -- the speaker, the majority leader, and the whip, should remain,” Rep. Gregory Meeks, a New York Democrat and a member of the Congressional Black Caucus, told ABC News. In recent days, some former critics -- including Reps. Albio Sires of New Jersey, and Sean Patrick Maloney of New York -- have also announced plans to back Pelosi, shoring up her support. 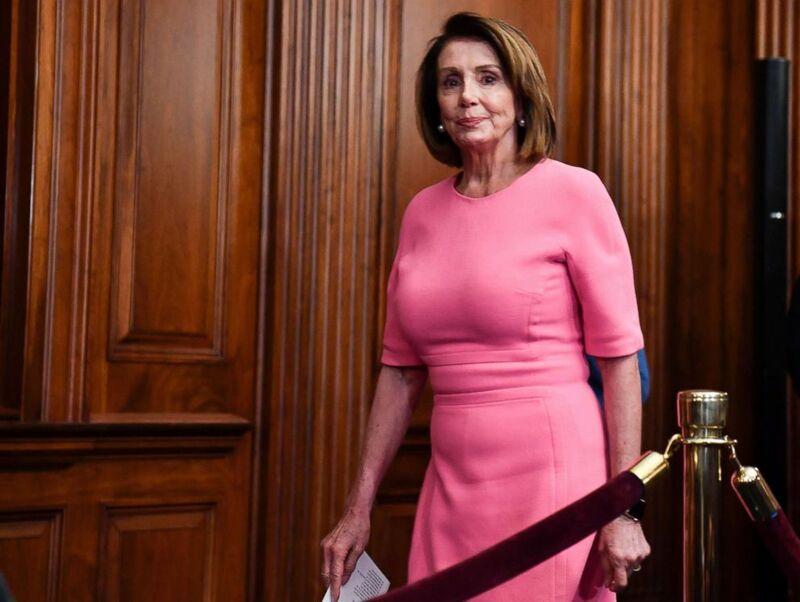 Beyond Pelosi, Democratic Whip Steny Hoyer of Maryland, who is 79, and Assistant Minority Leader James Clyburn of South Carolina, who is 78, plan to seek the majority leader and majority whip posts, after holding both the last time Democrats controlled the House. All three -- along with their allies -- are making the case to Democrats that their experience best positions them to lead at this moment, and would allow them to corral a diverse caucus and conduct vigorous oversight, all while keeping Democrats in position to protect their gains in two years. 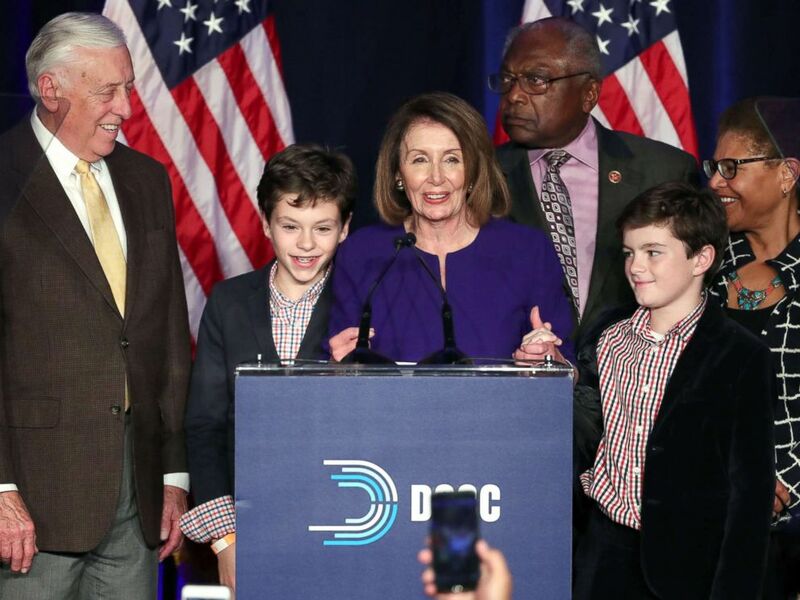 House minority leader Nancy Pelosi celebrates the Democrats winning a majority in the House of Representatives with minority whip Steny Hoyer, left, her grandsons and Rep. James Clyburn during an election night party in Washington, Nov. 6, 2018. 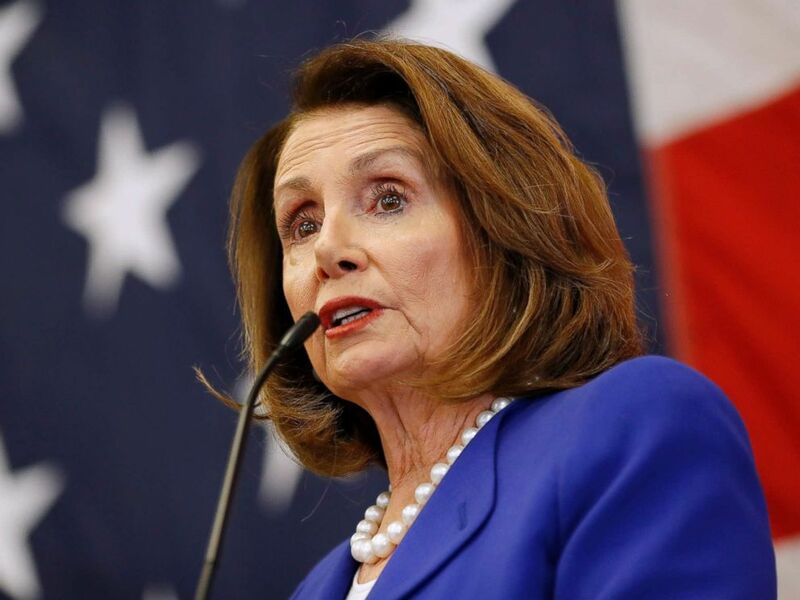 Pelosi and other leaders have also indicated that they’re receptive to concerns of their critics, who worry that the three septuagenarians have crowded out the party’s future leaders. They have worked to highlight their work encouraging and elevating younger members, and have suggested they would serve as leaders for a limited period of time. Neither Pelosi nor Hoyer face challengers ahead of the caucus leadership elections later this month, though Rep. Diana DeGette of Colorado, the chief deputy whip, has announced plans to challenge Clyburn. Instead, the battle over the next generation of Democratic leaders will likely take place in the races for lower-level leadership posts. Rep. Ben Ray Lujan of New Mexico, who successfully led House Democrats’ campaign committee in the midterm elections, is running for assistant majority leader, the fourth-ranking position in the Democratic caucus. He’ll face Rep. David Cicilline of Rhode Island, a progressive member of the House Judiciary Committee, after Rep. Cheri Bustos of Illinois, who represents a district won by President Trump in 2016, left the race to run for Lujan’s old position unopposed. Rep. Hakeem Jeffries of New York, who was encouraged by colleagues to seek a leadership and even challenge Pelosi if Democrats lost the House, declared he is running for caucus chair, a prominent position now held by outgoing Rep. Joe Crowley of New York, who lost in his primary to Alexandria Ocasio-Cortez. Republicans will hold their elections next week, while Democrats are expected to gather on Nov. 28 to begin their leadership elections -- giving Pelosi time to count votes, use the tools at her disposal to minimize opposition and win the support of uncommitted Democrats looking for concessions -- like Tom Malinowski, the former Obama administration who defeated GOP Rep. Leonard Lance in New Jersey. “I’m not going to give anybody my vote unless they can promise me that they’ll help me deliver for New Jersey,” Malinowski said in an interview ahead of the election, adding that he wants a vote to restore the state and local tax deductions capped by the tax overhaul signed into law by Trump last year.